BecharaShahid Kapoor's fairly innocent Instagram post in aid of his new film Padmavati has not been taken in the spirit in which he shared it. Shahid posted a picture of himself as Chittor ruler Maharawal Ratan Singh with the caption: "Still waters run deep. He will rise on the 1st of December. Wait for it #rajputpride." 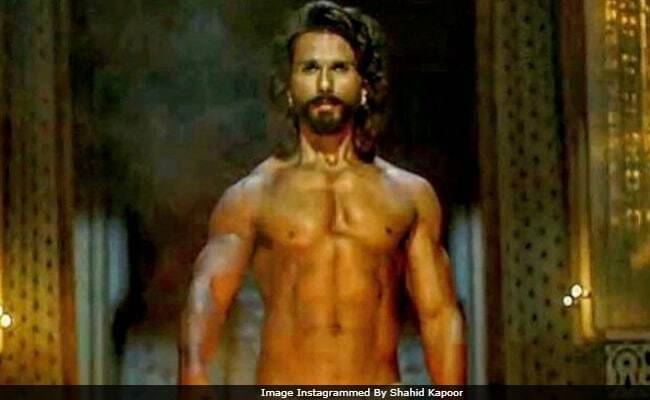 The photo shows Shahid, 36, bare-bodied and with flowing hair, his ears pierced - and while pictures of a shirtless Shahid are aplenty, the comments on this one are unflattering, to say the least. Enough folks think that Shahid nailed the look but plenty others think he compares unfavourably to co-star Ranveer Singh, who plays Alauddin Khilji. "Ranveer is the best," reads one comment. "Ranveer pulls it off better," reads another. One says simply "bad physique." A more in-depth analysis of Shahid's anatomy says "it would have been better if you were broader." One unimpressed comment reads "trying for Prabhas look in Baahubali." Padmavati is director Sanjay Leela Bhansali's retelling of the legend of Rani Padmini, queen of Chittor, and how she committed jauhar to escape the invading Khilji. Deepika Padukone stars as Padmini and the trailer of the film released to stratospheric interest levels this week. The posters of all three characters also generated tremendous buzz online. Padmavati is the third film Mr Bhansali, Deepika and Ranveer are working on after Ram-Leela and Bajirao Mastani. Shahid Kapoor is a new team member. The film also co-stars Aditi Rao Hydari and Jim Sarbh and will release on December 1.